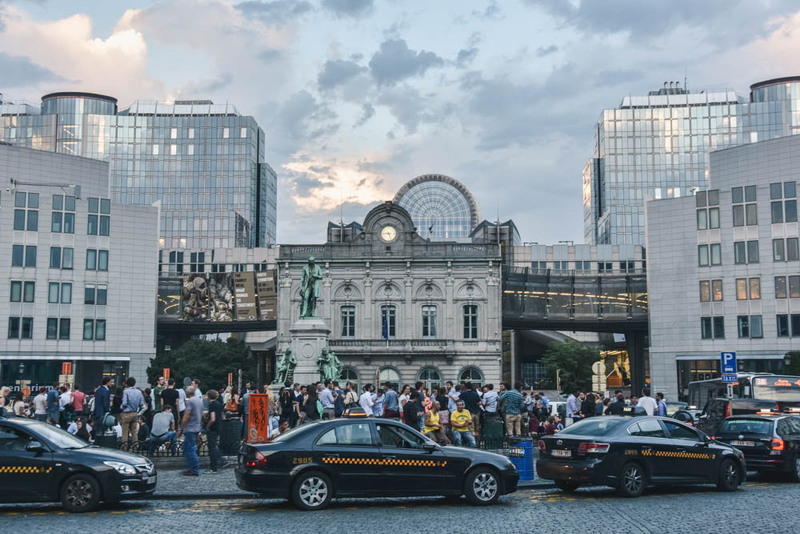 It upsets me when many visitors to the European capital leave disappointed or even complain about Brussels being a dirty, boring and ugly city. I’m often asking myself whether they just hang out in the city center or do they try to discover more of the city’s spirit? Ok, Brussels is not that romantic as Paris or Prague, nor that cosmopolite as New York (although it is home to many different nationalities). As somebody enjoying living here for some time, I know that Brussels does not serve you directly champagne with strawberries but here you actually need to search for the beauty, which makes it even more adventure, right? Let’s now explore Brussels together and I guarantee you that you will enjoy your time here no matter whether the sky is grey or blue! 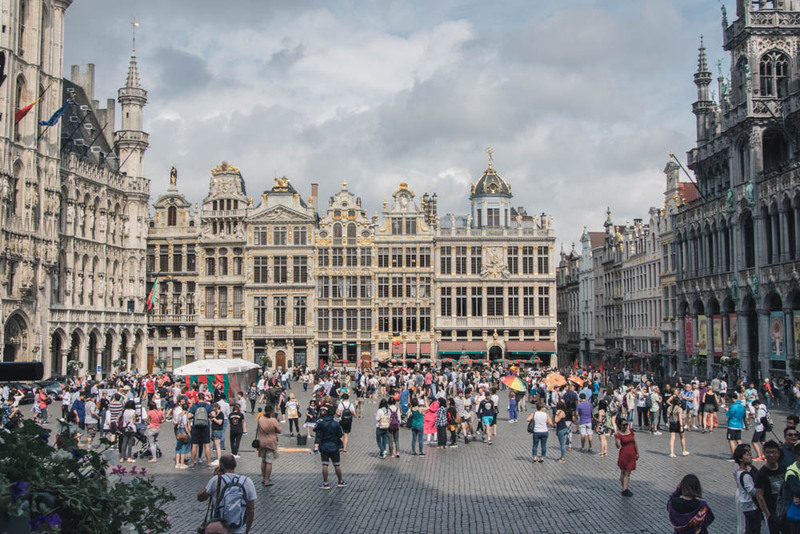 I don’t want to sound boring, but one thing that you definitely cannot miss is the Brussels’ Grand Place. It has been listed among the most beautiful main squares in the world, where you can admire the stunning Flemish Baroque architecture. The most remarkable building here is the Town Hall, a beautiful Gothic building with a façade decorated with tiny sculpture figures. Inside, you will find a tourist office where you can get some maps and information. 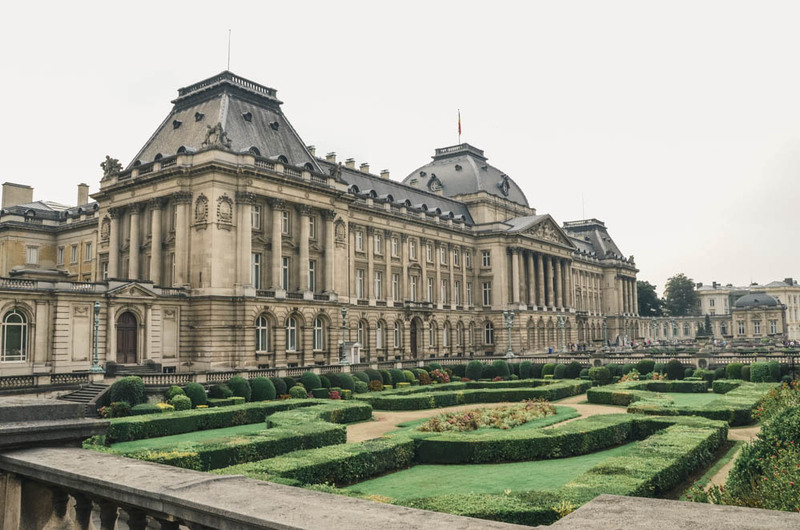 Opposite to the Town Hall, you will see another majestic building housing the Museum of the City of Brussels dedicated to the history and folklore of the town and it is here where you can see also some nice dresses for the Manneken Pis statue. Note also that every two years during a weekend in mid-August, the square is covered with an enormous flower carpet (2018 is again the year!). If you take the street rue Charles Bulls from the Grand Place, at a certain point you will bump into a crowd of tourists taking pictures of the famous Manneken Pis, which is actually a miniature statue of a peeing boy. Don’t ask me why something like this attracts so much attention (or even became the symbol of the city! ), but it smells just Belgian culture somehow… You will probably be amazed by how small it is! 🙂 If you are lucky, you may see the statue in a special suit, as his wardrobe contains over 900 suits for different occasions like national holidays and important international days for example (as mentioned previously, you can see some of these suits in the Museum of the City of Brussels at the Grand Place). But this is not the only “peeing statue” in the city! Try to find out also the peeing girl (Jeanneke Pis) or the peeing dog (Zinneke Pis). 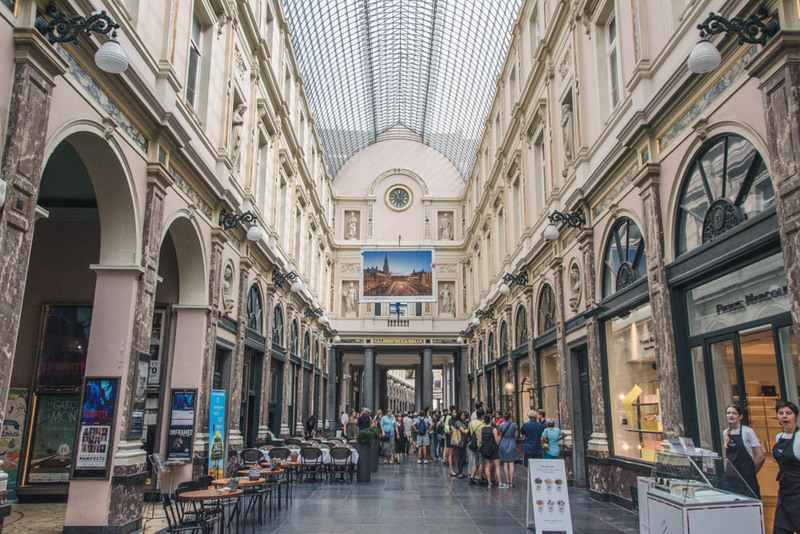 On the other side of the Grand Place, direction to Marché aux herbes, you can admire one of the world’s oldest shopping malls, Galleries Royales St. Hubert. For already more than 150 years, it houses luxury boutiques, clockmakers, chocolate shops, but also restaurants and cultural premises. It was here where Neuhaus opened their first shop where the pralines were born in 1912. You don’t need necessarily to go there for shopping, just go to see the stunning interior with a glass ceiling – it is beautiful! Did you know that Belgium produced the highest number of comic strip authors per square kilometer than any other country? If you like comics, then you will love Brussels! 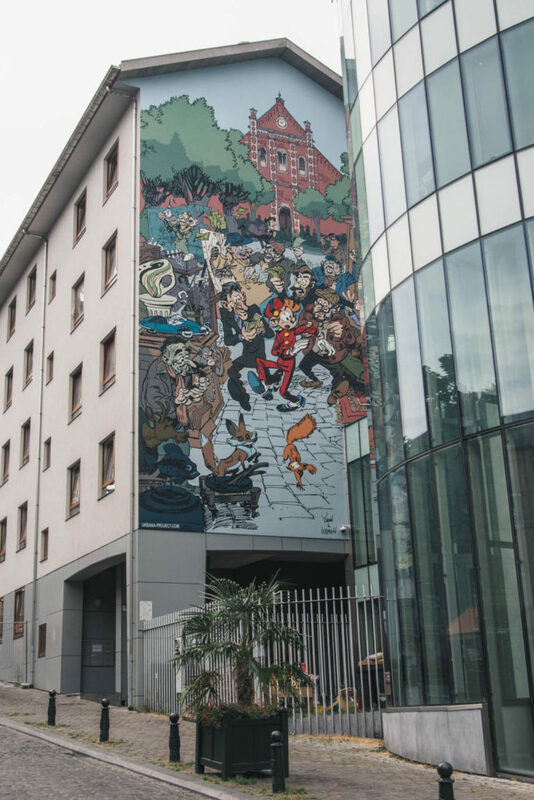 Numerous facades in the city center are beautifully decorated with murals showing scenes from comic strips. Stop by at the tourist office once at Grand Place, take a pocket map of Brussels Comic Strip trail, and follow the route. In order to have an idea what you can see during this tour, check out my previous post. 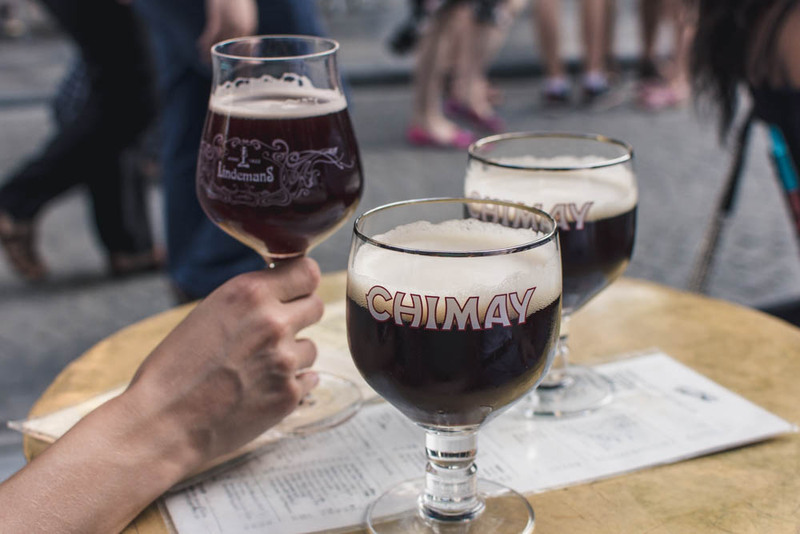 There are approximately 261 breweries in Belgium producing around 1,500 different beers. And there you go – it is the diversity of beers that makes the point! I am from a beer country and was never a fan of beer until I tasted some Belgian specials. I started with Kriek (girly cherry beer, quite sweet though), and after fell in love with some Trappist beers such as Grimbergen, Trippel Karmeliet, Chimay, or Westmalle. Just pay attention as some of them are pretty strong, particularly the last one mentioned! My favorite beer bars in Brussels include Poechenellekelder, A la Bécasse, Moeder Lambic, Brewdog, Bar des Amis, or Monk but you will probably want to see the famous Delirium Café, just be aware that this one is always crowded in the evenings, no matter which day you go (for the specialty beers, remember to go very downstairs). And one more thing – if you come by early September, you may enjoy the Belgian Beer Weekend! If beer is your thing, you can find useful this guide. 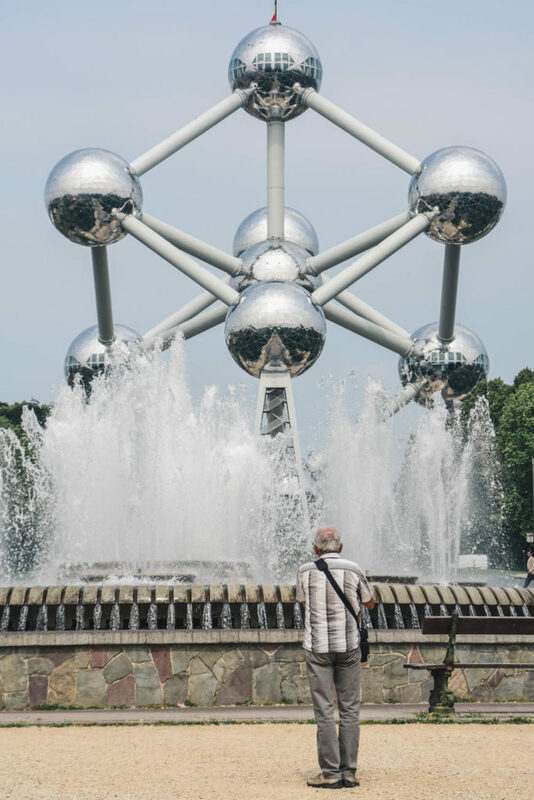 Another symbol of Brussels is actually a relic of the Expo ‘58 and therefore something not to be omitted on this list of top things to do in Brussels. While it is located outside of the city center in the Laeken quarter, it is accessible by public transport (metro or tram stop Heysel). It is open 365 days in a year and you can visit the current exhibitions inside, stroll down and up inside the tubes connecting particular atoms, or just enjoy the view of the city. You can also have a romantic dinner in the panoramic restaurant with a breathtaking view. If you go with kids, don’t forget to combine your visit with the Mini-Europe lying just a few meters from the Atomium. 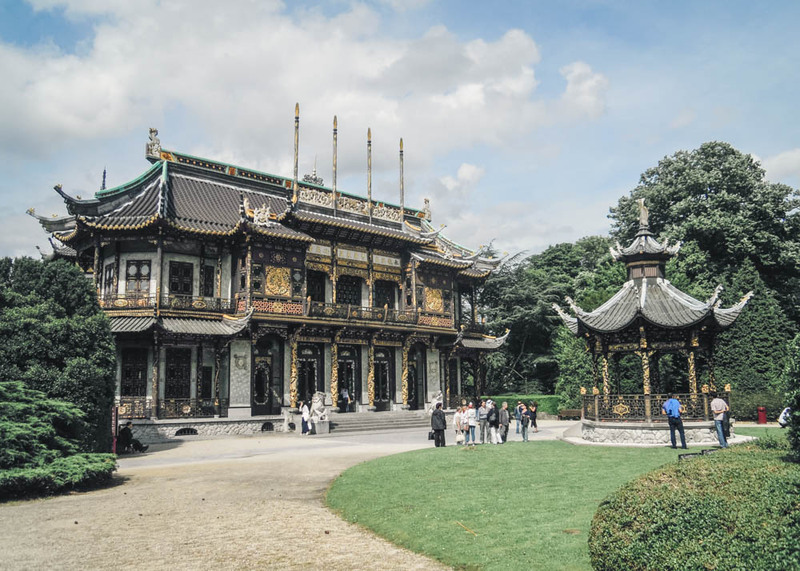 Once you are in Laeken, you can also go see these stunning Asian buildings: the Chinese Pavilion and Japanese Tower that were originally built in the first decade of the 20th century on the orders of King Leopold II. Today, they both serve as a Far East Museum where you can see an exposition of Chinese porcelain and Japanese export art. Be sure to check out the opening hours before you go as they are currently closed until further notice. And if you fancy Asian food, you can find some good restaurants in the center of Brussels, in the proximity of St. Géry. Brussels is the capital of Art Nouveau architecture and you will probably see some fabulous Art Nouveau buildings while wandering through the city, especially in the city center, around Park Cinquentennaire and in some parts of Schaerbeek, in Ixelles and around Avenue Louise, in Saint-Gilles and Forest. 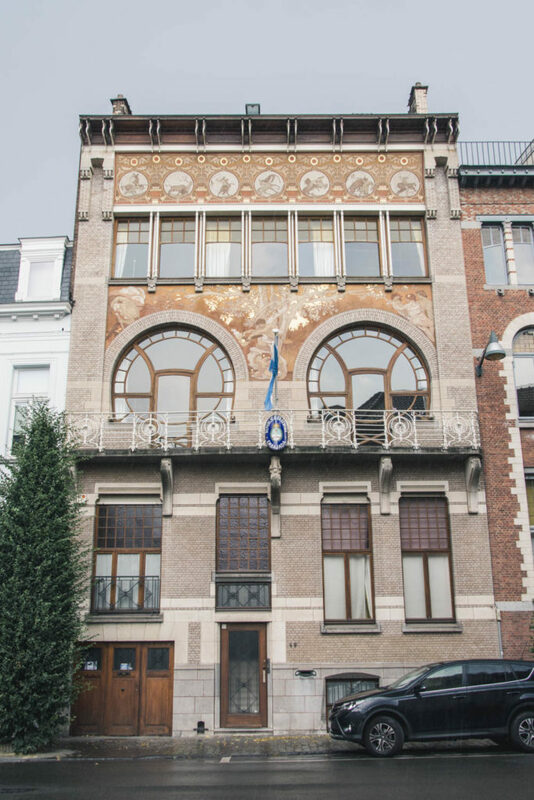 The most famous houses to check out are Horta Museum, Solvay Hotel, Cauchie House, Museum of Musical Instruments, or the Belgian Comix Center. #10 Forget about your diet when in Brussels! Brussels has a great concentration of good restaurants (I still need to post a list of my favorites, but for now, you can at least read about my favorite Belgian restaurants in the center of Brussels). Besides casual restaurants, there are also so many nice places to go for brunch too! But as this is a very popular activity for weekend mornings, somewhere you need to be early in order to have a table, somewhere you have to/can book few days in advance – different places different rules. My favorite brunch places include Peck47, Café Lulu, JAT’ Café, L’Atelier en Ville, La Fabrique, or Le Pain Quotidien. To learn more about typical Belgian dishes, read my previous post. 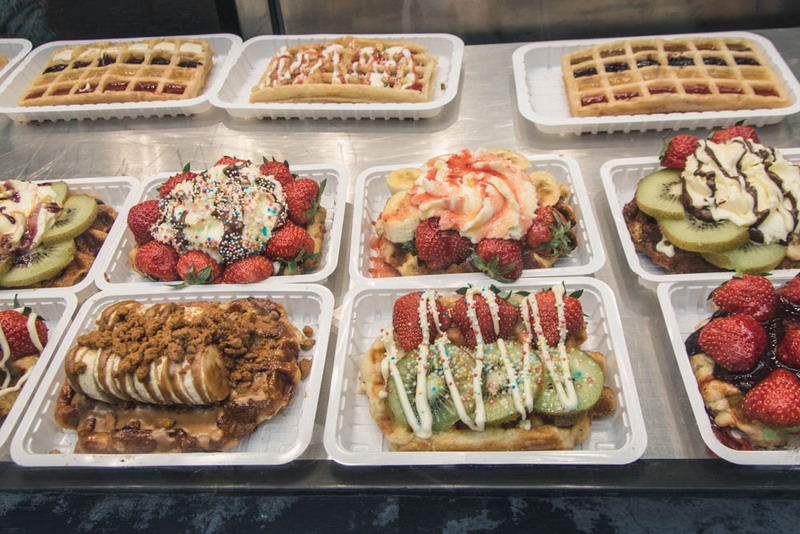 For what concerns the street food, you definitely need to try waffles – you can get them topped with cream, chocolate, caramel, fruits, nuts, ice-cream but for me, the best ones are just warm waffles from Lutych (with caramelized sugar running out). And then we have the Belgian fries that you can easily get in so-called fritkots all around the city (probably the best ones are being served in Maison Antoine at Place Jourdan where even Angela Merkel comes for her fries). Just pay attention if you are a vegetarian because the typical Belgian fries are made with pork or beef fat which you don’t want, right?! And then there is the chocolate or rather pralines which were invented in Brussels by Mr. Jean Neuhaus II. in 1912. Especially around Grand Place, you will find many chocolate boutiques and here are my favorite ones: Beyond the probably most famous Neuhaus, I love also Galler, Chocopolis, Bruyère, Elisabeth, Laurent Gerbaud, Darcis or Rendez-vous chocolat. If you want to see where the Royal events take place, head to the Royal Palace (Palais Royal) in Brussels. It looks pretty similar to the Buckingham Palace in London, it is just a few meters longer. During the summer months, the Royal Palace is open for the public who can come to see its spectacular interiors with a cherry on top: a hall with a ceiling made of Thai scarabs. I wrote about the Royal Palace here. 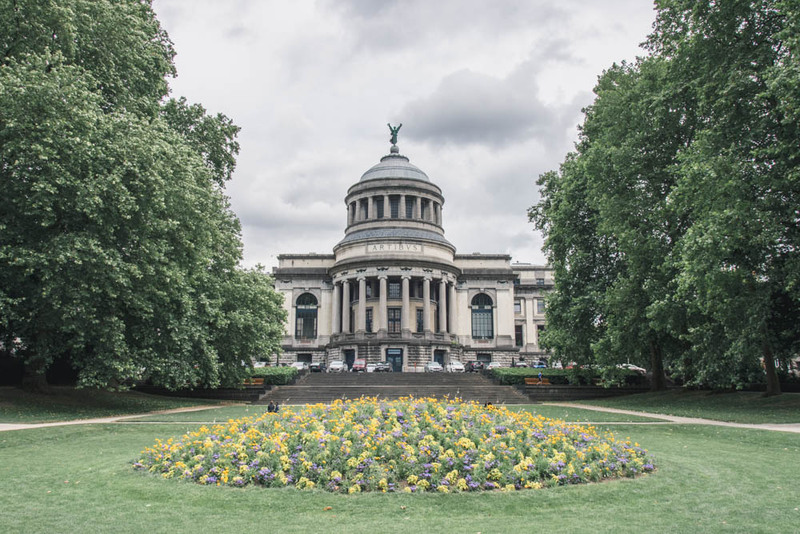 Take the elevator from Palais de Justice and have a walk in the tiny streets of Marolles, see a house where Pieter Bruegel lived or shop in the antique boutiques. 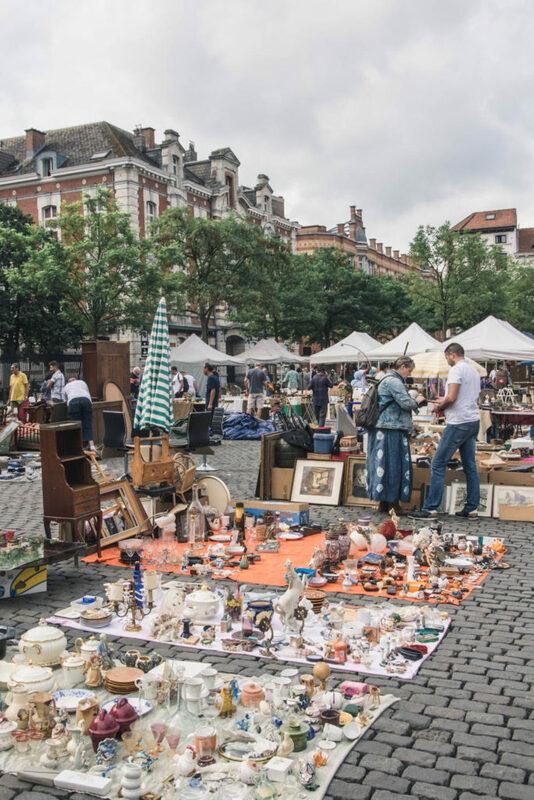 Or head directly to Place du Jeux de Balle where a large flea market takes place every day in the morning. You may find some hidden gems such as vintage plates or accessories, old books, and tapes or even African talismans. If you want to avoid crowds, note that Sundays are the busiest days here. After all the hassle with running to see as much as possible, shopping, eating, wandering in the streets of Brussels, you might need some rest in a park, especially if it’s sunny. Brussels being the greenest city in Europe, has many wonderful parks suitable for walking, jogging, or relaxing – you just need to choose! Some other of my favorite parks include Parc Cinquentennaire, a huge marvelous park with an arch in the middle and two museums located close in the European quarter. Park Leopold is another park located close to the EU Institutions and features a small lake. 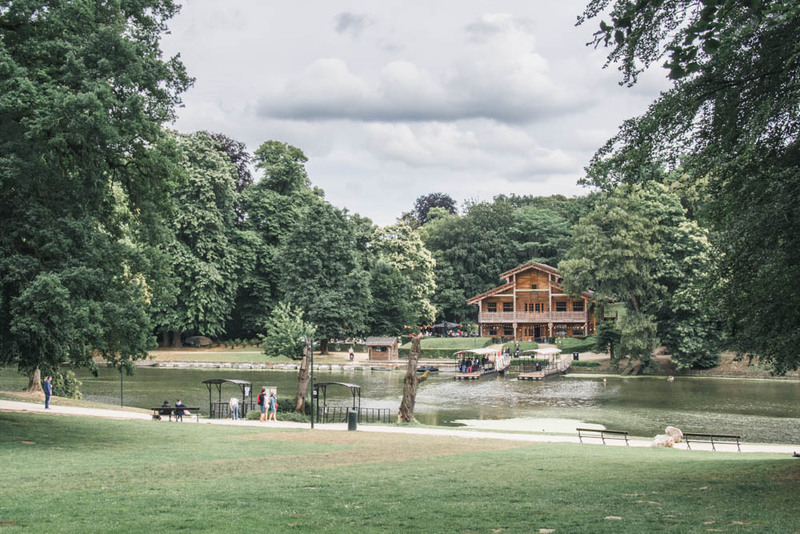 Other parks I like a lot are Jardin de l’Abbaye de La Cambre close to Flagey or Bois de la Cambre which is like a small forest where you can also find a lake with an island with a nice restaurant. And a hidden jewel in Ixelles and my heart thing is the Tenbosch park. Get the spirit of the multicultural city and enjoy a drink outside surrounded by the local mix of people from all over the world. Here are my tips for popular places: Any day of the week head to Place St. Géry or Place Flagey. If you happen to be in Brussels on Monday, come to the market in Saint-Gilles where you can eat something from trucks and have a glass of wine. On Wednesday, similar but bigger thing happens on the market at Chatelain and when the market closes, people literally invade the surrounding café’s. On Thursdays, you can experience probably the most popular place to be for expats – Place du Luxembourg. During the spring and summer weekends, many outdoor events are going on, such as the popular Bruxelles les bains. 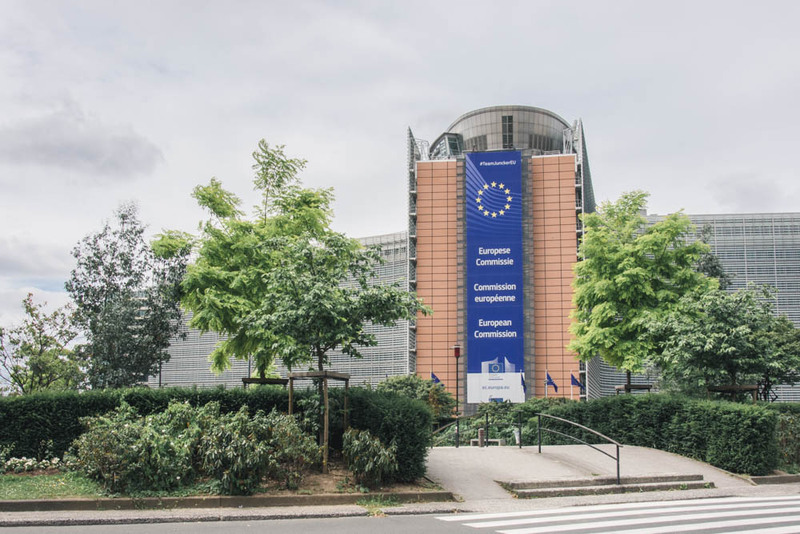 For an overview of all events, check out the Brussel’s Agenda. And here comes the last but not least out of my 15 things to do in Brussels. 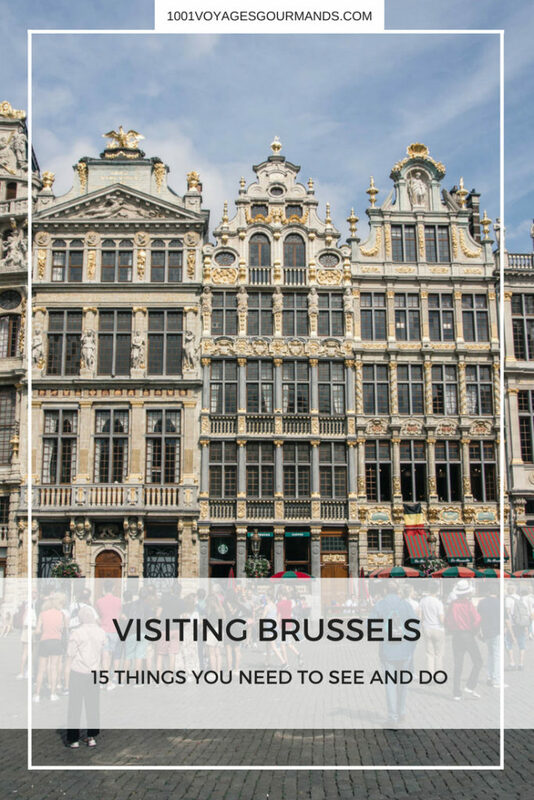 Because, as you know, this city is also home to the EU Institutions, your visit of Brussels wouldn’t be complete without stopping by one of these at least to check out the buildings which are quite impressive! You can schedule a visit to the European Parliament but I especially recommend you to visit the Parlamentarium which is basically a very interesting and free museum where everybody from individual visitors, schools, and families can learn in a simple, interactive and very catchy way (and in their own language) about how the European Parliament works, the role of MEPs, or how the EU impacts your daily life. So this was my 15 ideas for your visit of Brussels and I hope you will enjoy your stay in the town! Find more ideas on things to do in Brussels on the website of Brussels Tourism information. Another useful web is the Brussels Agenda that lists all important events in the town. Have you ever been to Brussels? How did you like the city? 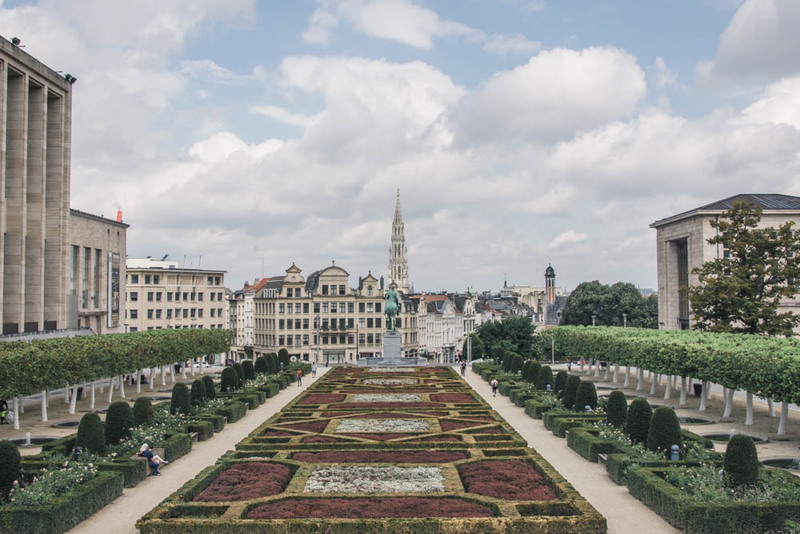 Is there something else you would add to my 15 things to do in Brussels? Tell me about it in the below comments! Great overview about this lovely city, a pleasure to read! Great post! There are so many things to fo in Brussels, I love all these buildings, especially the Asian Museum.